Embattled Sudanese president burnt all bridges to Eritrea the day he ‘unilaterally’ closed the Kassala border. As the political and economic crisis in the country creeps in and starts shaking his regime, he wanted to open the border, once again, unilaterally. When is he going to close it again? Sudanese President Omar al-Bashir said on Thursday that his country was reopening its Eastern border with Eritrea, after he unilaterally closed it. Sudan closed the border in early January, 2018 and deployed thousands of troops to protect the region from alleged Eritrea and Egypt threat. “Here from Kassala, I announce that we are opening the border with Eritrea because they are our brothers and our people. 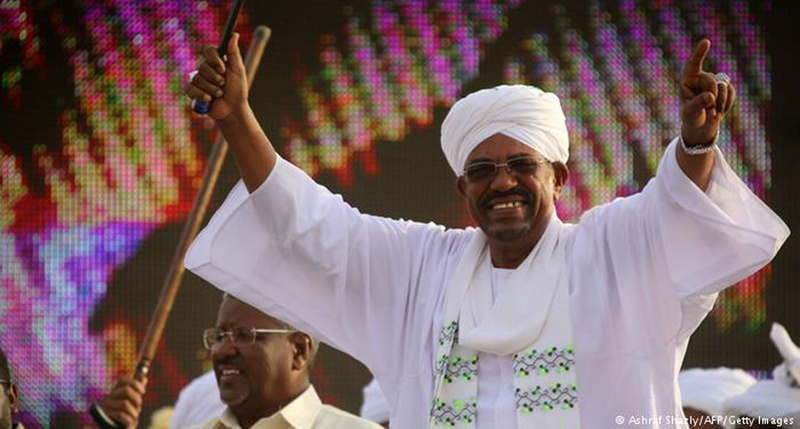 Politics will not divide us,” Bashir said in televised remarks before scores of supporters in the town of Kassala. Sudan has witnessed nationwide protests for six week, while the ruling party has pushed for constitutional amendments to pave the way for President Bashir’s nomination for a third term. As Bashir was speaking in the remote town, the Sudanese Professionals’ Association, a union that has led calls for demonstrations against his rule, called for fresh protests across several Sudanese cities on Thursday afternoon. Sudan has been rocked by near-daily anti-government protests since Dec. 19 after a government’s decision to triple the price of bread. Rights groups say at least 45 people have been killed. The government puts the death toll at 30. Bashir struck a defiant tone in Kassala on Thursday about the protests. “Changing the government and changing the president will not be through WhatsApp or Facebook, but through the ballot box,” he said. President Bashir, in power since 1989, recently accused news outlets of inflating the sizes of the ongoing protests against his regime. * Reuters and The East African contributed to the story. © 2010 - 2018. All rights reserved. TesfaNews - A Premier Eritrean News and Views Online Magazine.